Lola Saratoga is proud to be the Capital Region's exclusive retailer for Tory Burch, Kate Spade, and Rebecca Minkoff. 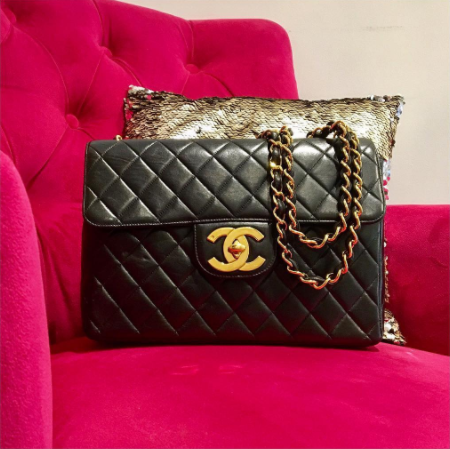 Most notably, Lola Saratoga has launched an Authenticated Vintage designer handbag collection, specializing in 100% authentic vintage Chanel & Louis Vuitton pieces. 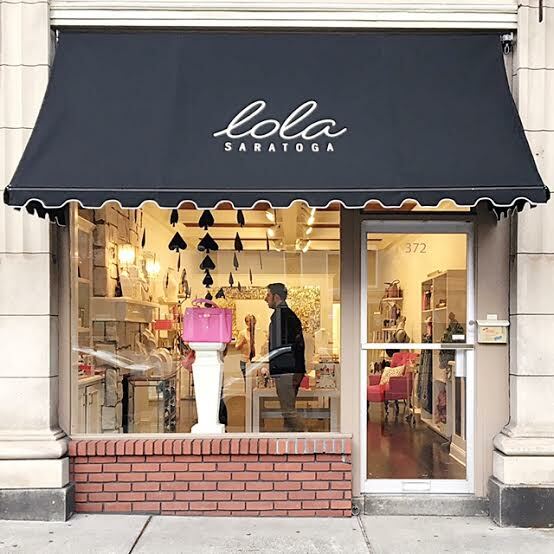 Follow Lola on Instagram and Facebook for the latest product updates, or stop in to the store at 372 Broadway, Saratoga Springs, NY. Owner of Lola Saratoga, Megan Druckman has spent 12 years in the fashion industry specializing in retail buying, merchandising, and planning. After graduating from the Fashion Institute of Technology, Megan began her career as an executive at Bloomingdale's. After seven years of working her way up the corporate ladder, Megan decided to fulfill her lifelong dream of opening a boutique in her hometown of Saratoga Springs. Because of the vendor relationships & partnerships that were cultivated through her years in the industry, Megan was able to offer brands and product assortments not previously found in the area. A self-described "city girl at heart", you can find Megan in Manhattan 2-3 times a month meeting with vendors, shopping product lines, and finding inspiration from the world's top vendors & stores. "This industry never stops evolving and changing, and I think that's why I've always loved this business. There's always something new and fresh to breathe new life into the business and the creativity you're allowed as an entrepreneur in this industry is limitless." Not only do we know good style at Lola, but we also know how to throw one fabulous party. See below for any upcoming dates you'll want to add to your calendar ASAP! Join us for our best and biggest sale of the year, just in time to cross off all the gifts for the most fabulous ladies on your holiday list! Fine jewelry, designer handbags (vintage excluded) and cold weather accessories will be on sale! Customize your very own floppy beach hat with a cheeky saying–the perfect way to kick off your summer! Hurry, limited space! UPDATE: Thanks to all who came and created with us & Ink Revival! Enjoy your new summer accessory! See something on our social media that catches your eye and you just have to add it to your accessory collection? Give us a ring or send us an email to place your order or ask any questions! Please Use the Below Form for General Inquiries Only: Please Use the Below Form for Custom Product Requests. Thank you! A member of the Lola Saratoga team will contact you via email within 2-3 business days regarding the details of your custom request. We look forward to helping you find exactly what you’re looking for!